It was just about a year ago that my maternity leave with GiGi was coming to a close and I decided to take a few delicious days to myself as GiGi started daycare and I prepared to return to work. In those three days, I bought a new sewing machine to replace the $100 Walmart Singer machine that finally gave in and I determined that I would start a blog to help give me the motivation to use it. What an awesome year it's been. We expanded our family and welcomed GiGi and family life could not be better with her in it. Having two babies in less than two years has certainly been a challenge but a wonderful one! ...and I started a blog! My sewing has gone from a minor activity I did every now and then to something that has become a part of my identity. I am by NO means an expert and it still makes me laugh a little inside when people come to me for sewing advice because I see myself as a beginner. However, I've been able to challenge myself in some new ways and completed projects I don't think I would have attempted without my blog to motivate me. But enough musing, let's get to the good stuff! I started my blog with three posts dedicated to three of my very favorite projects, what I call my "Favorite DIY Baby Gift". To this day, those are still my top posts and one in particularly, my cloth baby shoes, has shot to the moon with nearly 10,000 page views. It wasn't really my favorite post because it was just pictures of cute shoes I made without a real tutorial so it's nagged me all year that I should honor the post by creating a real tutorial. Here it is! Here's how I created my own pattern--and how you can too! I started with a pair of cloth shoes I wanted to copy. I turned the shoe inside out and ripped the seams apart. Here were the three pieces that made the shoe. That's not so intimidating, right? I traced the pieces on paper. Using a see-thru ruler, I traced a 1/4" gap around the outside of each piece to account for seam allowances. Here they are! Ready to be cut out. Pattern, check! Now ready to create my tutorial. Check out my google doc for the details but here's a little preview of some of the steps. It's easier than it looks--especially if an addiction is born and you find yourself making shoes with every spare scrap of fabric you have. Thank you!!! The first pair is the toughest but once you get the hang of it, I can crank 'em out in 30 minutes or less. Hey Nina, I don't know if it is possible for you to email the tutorial and pattern? It says I am unable to open it!! Silly computer. I really am excited to make some of these for my little guy!! Thanks! Hi Nina, what do you do with the elastic once you have it around the heel of the shoe? are you putting it between the slots and sewing the pieces together? I'm not english speaking, so this message may not be very good written, but i hope You will understand it. 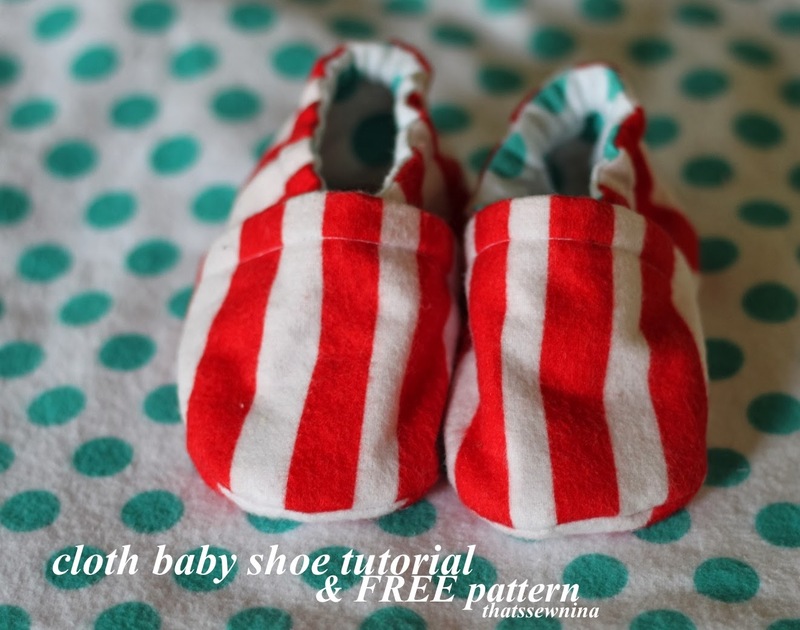 I have a big request to You - to send me on my email your patterns and tutorials with cloth shoes, becouse i couldn't open it on Your blog. I'm very impressed with how it looks (i mean this clothshoes) - it's unbelievable that someone can create thing like that. Nice tutorial. I would like to make baby shoes for my kid. I liked it very much. As it will be comfortable too because it is made of cloth material. I have successfully made a pair for my upcoming baby, thanks to your pattern and comprehensive tutorial. Thank you for this tutorial. I and some friends have started a club in which we will be sewing things for charity. We have talked about making blankets for the NICU babies and I think that these will go over well also. Thank you again. Hi i wanted to know what interfacing do you use? What are the dimensions of each oattern piece? I really want to try and make these...so adorable! Thanks! Great. Where can I buy ? Thank you so much for the pattern and tutorial!! excelent post , thanks ! Wonderful post i really appreciate it and i do wanna introduce one of the best Monique Custom Shoes site where user can chose multiple shoes and many colors suits to her dress and theme i am sure you gonna love it. those shoes are so easy i love them. Baby shoe styles range from basic booties to miniature versions of adult shoes, but the shoes with a soft, flexible sole are often best for your baby's feet. Hi Nina, I join the chorus of the many happy sewers who've discovered your blog. Many thanks for the details, pattern and inspiration - can't wait to make a pair for my new baby grand-daughter! I may have already commented here, I don't remember, but just wanted to let you know that this pattern has become a go-to baby gift for me. Just ran into a friend yesterday whose baby was wearing them, and she said they are the only shoes that will stay on her feet :). I tried two other baby shoe patterns first and this one is the best! Thank you. Hi :) where is the best place to buy Gripper Dot fabric? Thank you for sharing so great thing to us.I think money doesn't matter. the Baby stroller we want to better project. 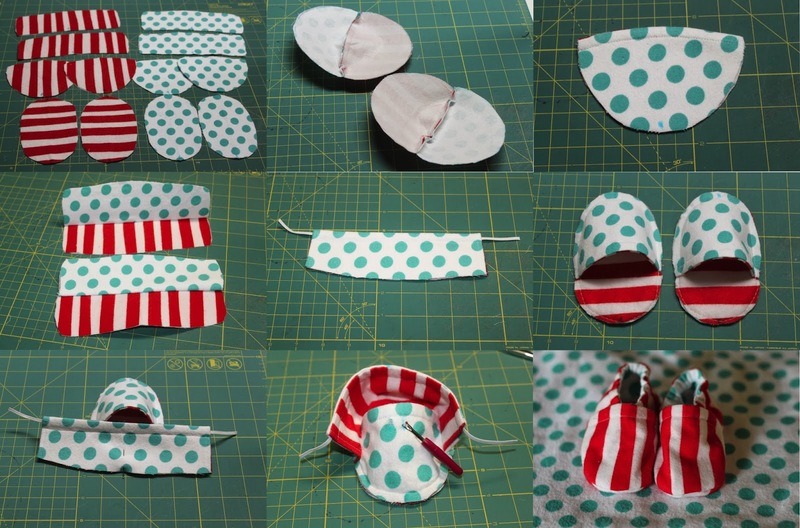 Did you put interfacing on the back side of EVERY little piece of fabric? I tried it without interfacing but theres a lot of ugly looking fraying on the inside going on that i would rather not have. Is that what the interfacing will fix? Thanks! Wow, this is awesome. I have triangular feet that don't fit into any adult shoes. I'm thinking of sizing these up and making an adult version out of leather. Plethora items are so beautiful and well-crafted, they'll give the international brands a run for their money! If you are in search of the most reliable natural handmade products in Malaysia then browse our online store and get the highest quality products at best prices. We are the best bet for LED TV online shopping. With us you can buy LED TV online at leading offer prices. I want to buy Casio G Shock GAS-100BR-1A...!! someone suggested this online store for buying my favourite Casio G Shock GAS-100BR-1A.Can any one guide me this site is good or not..........??????? I see your post.Its too much interesting for me.Thanks for sharing! !